The success of your business largely depends on the digital content you produce. As the number of your digital assets grows, it calls for a solution to keep all your photos, videos, artworks, design mockups, and other marketing collateral in order. In other words, you need a Digital Asset Management software. A digital assets management (DAM) solution helps you organize your digital library in a highly efficient way. With its help, you can easily find the right assets, classify them in different ways, compare versions, discuss them with teammates, share publicly, etc. 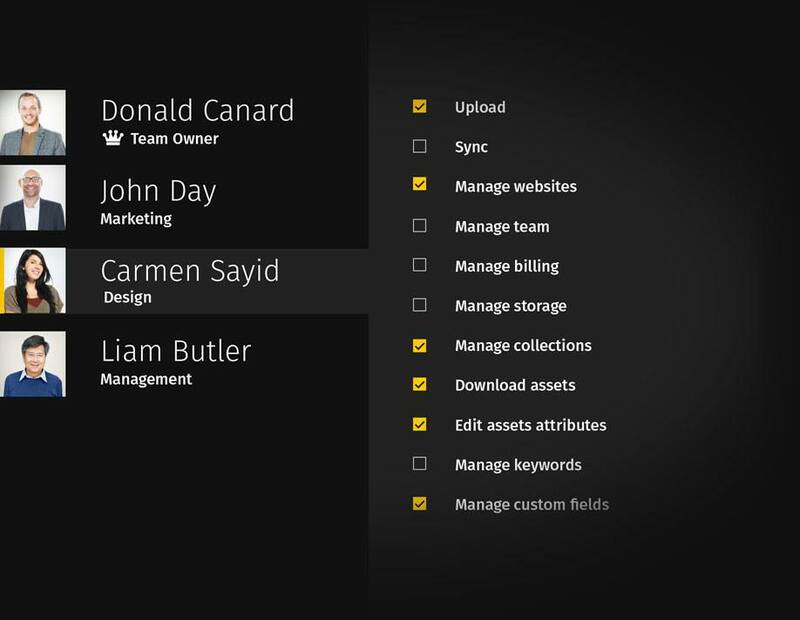 DAM service saves you hours of looking for the necessary files, helps you manage the copyright of your purchased stock, and maintains the overall brand consistency. Simply put, DAM makes your digital content truly work for the benefit of your business. Who needs a DAM system? A professional DAM service, such as Pics.io, can easily adapt to the specifics of any organization and satisfy the interests of any industry. What are the benefits of Digital Assets Management? Pics.io DAM is built on top of Google Drive. So, it doesn’t limit the number, type or size of your assets. The only restriction is the size of your Google Drive. Access and share your digital assets, track and review your creative projects and communicate with your teammates from wherever you are. Take advantage of advanced EXIF/XMP processing and create your own custom fields to reflect the specifics of your business. Establish a unique corporate taxonomy for your digital content. Stop wasting time on looking for the files you need. Apply various search filters and tags to find the necessary assets in no time. Keep all design iterations in one place. Compare and contrast them easily with visual comparison tool for different file formats, even multi-page Sketch and video. Invite teammates to your digital library and give them different roles & permissions. Exchange feedback, assign tasks, and review designs right in Pics.io. Easily share your assets individually or in bulk right from Pics.io. Make use of pre-designed templates and get feedback from external stakeholders. Connect your DAM to your favorite apps and automate your workflows. Integrate your online library with project management tools, sales apps, publishing platforms, etc.